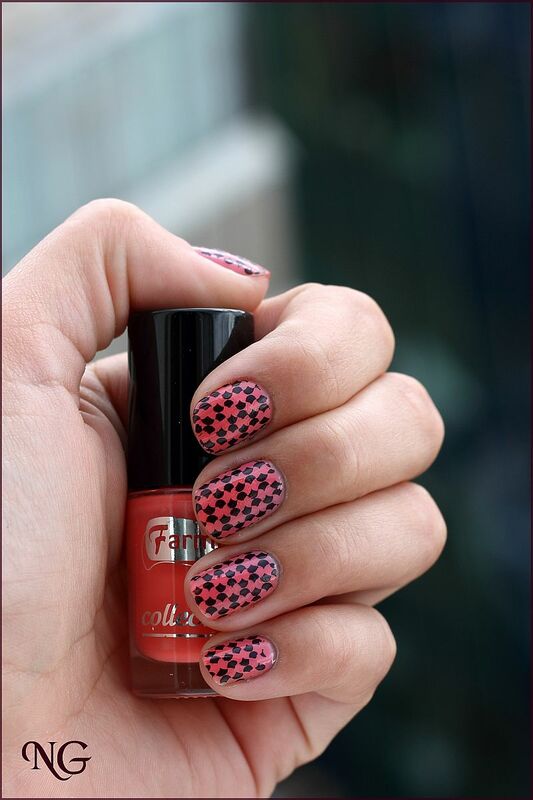 Today I want to show you a stamping polish I received from Born Pretty Store, to make a review about. This black stamping polish comes in a little bottle, without any label on it, but does its job really well. Black stamping polish - from Born Pretty Store, item nr. 1324, that you can find here. 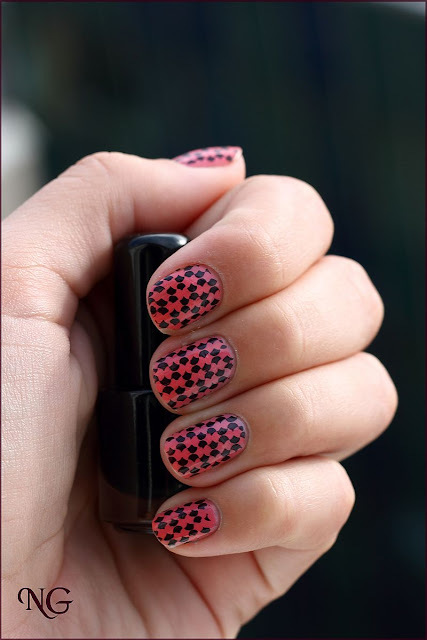 Visit Born Pretty Store for this polish and many more nail art products. Don't forget, that they offer free shipping worldwide and using the code VNL91 you will get a 10% discount. Modelul este foarte dragut. Ce nu inteleg eu este ce are mai special aceasta oja? Ojele pt. stamping sunt mai pigmentate. Acesta este motivul pentru care modelele aplicate cu astfel de oje (deobicei) arata mai bine pe unghie.